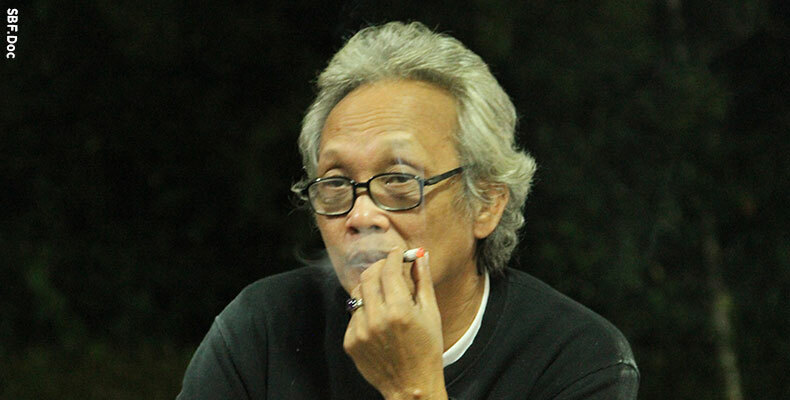 (JAKARTA, SBF, LTTW) A pioneer in Indonesia’s live performance management and recipient of LTTW’s 2013 Endurance Award, Arie Syachri has passed away of heart failure on Thursday morning at the age of 65. Arie Syachri, who was the first-generation student of Jakarta Institute of Arts (IKJ) in 1974, was much loved and will always be remembered for his untiring efforts and selfless support to the betterment of arts management in Indonesia. Having lived in the arts world for more than four decades, Arie Syachri’s accomplishments were staggering, yet hardly ever exposed. When he took the job as the Program Manager at the Taman Ismail Marzuki (TIM) Arts Center in the 70’s, he successfully turned the place as the most vibrant cultural center in Indonesia, with lineup artists during his term there included giants of the performing arts world like Martha Graham and Duke Ellington. With his own pioneering arts production company outside the Arts Center, he handled most major events in Indonesia including the New York Philharmonic concert with Zubin Mehta as the Conductor. In 1998, Arie Syachri joined Sacred Bridge Foundation, where he was faced with many new challenges; and his response was clear. Since then, he had been the person in charge for stage management to all events organized by Sacred Bridge, from the Sacred Rhythm: the Millennial Percussion Festival in Bali (1999) to INTRASIA: A Cross-Cultural Music Clinic in Jakarta (2013), while handled more diverse performances from artists such as Amy Knoles, Glen Velez, Vikku Vinayakram, Farafina, I Wayan Sadra, Marzuki Hassan, and many more; an energy and commitment that spanned for 15 years. However, body had its limits. Illnesses began to attack him in the last few years. Even so, such illnesses rarely bothered him. In fact, he answered this mostly with a smile and a very good sense of humor, as he often did within any situation. Now, after many curtains he had opened and closed for many artists, Arie Syachri has closed the curtain of his own. And his journey to the divine began.